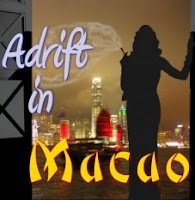 Performances of Adrift in Macao are January 7, 8, 14, 15, 20, 21, 22 at 8pm and January 16 at 2pm. Closes January 22. Adults $15, Students $12. Forge Theatre, now in its 49th year, is at 241 First Avenue in Phoenixville. For tickets and information, call 610-935-1920 or visit http://ForgeTheatre.org.